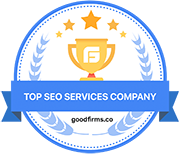 In our work at BestSEO4u, what has set us apart from many was the ability to observe the competition and understand the strategies they employ in order to climb higher in the hierarchy. Successful Internet marketing is about staying on top of the trends, doing a great research and also about creating your own unique style to detach yourself from the rest. We thus helped our clients’ businesses by taking the same approach and giving them a welcome advantage over the competitors in their field. Though clever and complete audit services and by ‘spying’ big brands, we succeed in tailoring bespoke solutions and strategies to boost each client’s online image and revenue. You can learn a lot from what others are doing. Your competitors are now reaping the fruit of their PPC campaigns, enjoying more traffic, leads and customers. In other words, they’re making money while you may not even be aware of the strategies they’re using for this. Do not just sit there and envy others who get ahead of you in the business. The more you let them do that, the better they solidify their brand in the public consciousness, making it harder for you to ‘steal’ their customers. Study their approach and analyse their every step. 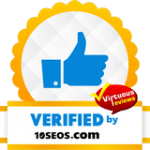 You might obtain immensely precious insights on what works on the market, which will save you a lot of time and money in the long run. If they are doing well in the business, we can be sure that your competitors are already using AdWords – not just to create efficient Pay Per Click campaigns, but also to figure out which keywords get traffic. Whichever keyword gathers significant amounts of traffic is detailed in AdWords, where you can find relevant data about it. Click on ‘Details’, then on ‘Auction Insight’ to view this data, once you have made your keyword selection. In the given keyword report, you will be able to see who are your competitors – meaning the businesses that are using it. Compare the numbers and see how far behind you are. Additionally, you can find out who is bidding on your keywords and how exactly they are doing. AdWords has a special feature for that. Do not forget to check these tabs regularly to get a good picture of what is going on. Your competitors are surely doing this frequently enough if they’re occupying a nice spot in the charts. Why won’t you do the same? A successful brand isn’t a static one. It doesn’t have to be perpetually changing, either. Therefore, make sure to update it or to release a novelty when it feels right. Its image needs to be refreshed in the eyes of the prospects. PPC campaigns must get a similar treatment. Cycling the ads and updating these is essential, as well as changing the current keywords with ones that may yield more. Competitors who are ahead of you have probably figured out which are the better PPC markets to select. By spying them and their campaigns, you can find out information about their PPC campaigns and the important choices they made. It’s not enough to have well-paid ads and to allocate a significant budget to these so that you get ahead of your competition. You should have a look at what the notable players in the industry are doing – they schedule their ads as well as whole campaigns, to match important moments in time, in the life of the targeted community, in the marketing calendar, or to simply coincide with a novelty regarding their brand (like a product launch). Build your PPC campaigns around your upgrades, news, press releases etc. If you find out your competitors’ schedule – don’t copy it mindlessly, but see what exactly it targets and adapt the strategy to your own efforts. As you begin to analyse your competitors in the industry or region or both, you identify their strengths, their preferred tactics, keywords and so on. You can obtain a wealth of information that will give you a clue about what works for them. When you want to find out what works for you, however, the answer may not be the same. There could be times when you are required to come up with an original solution. Experts often inspire business owners and marketers to carve their own niche and stand out by being different. When some niches aren’t yet occupied (e.g. there are few to no businesses using a certain keyword), you have the chance to shine and get attention without having to fight any competitor. Of course, you can only be successful when the niche is a total match for your brand. Start using a representative set of keywords and create ads that reflect the uniqueness of the chosen niche and that of your brand, too. When you’re not copying what others do and going your own way instead, you might get to attract more interested people and find sustainable sources of traffic. PPC analysis can track the ads of your competitors and reveal to you the headlines that attract people, as well as the ad copy that works. It’s a good idea to get inspiration from these and to copy the style (but never word by word!). When a similar business does better than yours in terms of PPC campaigns, it means that whichever client chose them was not attracted to your ads for some reason. Therefore, you have to optimise the way those look and sound, and what better models could you have than those of the better players in the industry? This may seem to be the opposite of what we taught you above, but it isn’t. Some aspects must be ‘copied’, while others call for originality, for detachment from what has been done already. Strive to have an optimal, balanced blend between your personal touch and the methods proven to work. To accomplish what we’ve just mentioned, you’ll have to put your creativity to the test. PPC campaigns force you to push your limits and generate new, more attractive and compelling ads within your niche. It is a powerful exercise for one’s creativity and PPC experts greatly enjoy that. 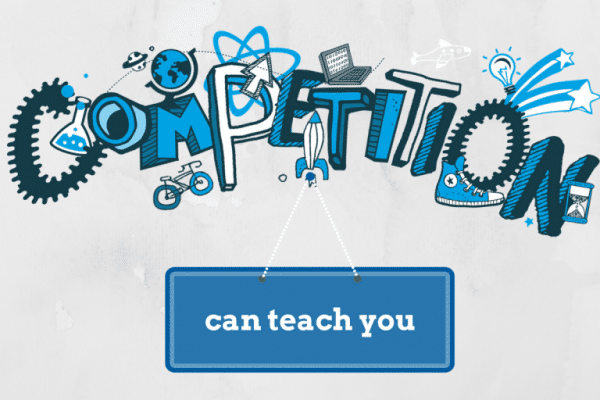 High PPC competition forces one to come up with new ways of expression, improved ad copy and more efficient tricks that get the reader interested. After all, a good ad must have some kind of ‘hook’ to get viewers to click through instead of choosing the one next to it. Here is what happens consequent to PPC analysis: not every client goes the same route. Some think that they only need to copy what the better brands are doing, in an attempt to crush these. Others understand that it’s their own brand they need to focus on and so they proceed to improve it. It could refer to an effort in terms of originality, product novelty, brand image etc. It is impossible to tell from the start which improvements a given business owner has to make, since every situation has its own challenges. After a solid analysis, you can have more clarity and figure out what must be done. Usually, it all revolves around self-improvement. This one is a very important aspect. Not knowing how to bid can ruin your advertising budget. If you favour the auction-style bidding, when you bid more per click, your competitors are pushed to do exactly the same. The amount may increase to ridiculous levels, while the traffic you’re obtaining stays the same. The general tendency for all markets is to become more and more competitive. You need to find your own competitive edge and do everything in your power to meet your business ambitions. Therefore, focus on your strengths, on the tools you can employ and every strategy recommended in order to avoid lagging behind or worse, disappearing from the market. Remember to tailor your PPC campaigns by using tips from professionals (or maybe hire professional services) and by following in the steps of those who are doing well in the industry, at the same time adding your personal touch/flavour.